Some say the best of Ireland is in the long memories of her people, repeating stories from the dawn of time. Follow the rainbow into the tales from the Irish mind. Could Elvis Presley have been Irish? He sang, he danced, and he had those blue eyes with black hair, sure, why couldn´t he have been Irish? He was, and is still loved, in dear, old Ireland. The Holy Wells of Ireland are potent reminders that there is more to us than just our bodies and minds. Many people still make pilgrimages to these ancient sites, seeking cures, wisdom, and the fulfillment of special intentions of all stripes. Fairies do not always come in the form of leprechauns. These earth elementals can be spotted in places of outstanding natural beauty. But be aware that now you see them, now you don't! They take a dim view of trespassers as well, nor do they lodge deeds of ownership with the Irish Land Registry. Technically, Biddy Early is not Ireland's last witch. But she is certainly the last person threatened with prosecution under witchcraft laws. Ireland's last witchcraft trial was held in Ennis, Co. Clare in 1865. Local 'cunning woman' Biddy Early was in the dock. Delightful reading from BellaOnline´s Folklore editor, Susanna Duffy. Get the real deal on the little folk. Up the airy mountain and down the shady glen, I dare not go a hunting for fear of little men...or is it little women? Natural historians will tell you Ireland never has had any native snakes. So what is the basis of the folk tale of St. Patrick banishing the snakes from Ireland? Some information on the "Banshee," the mythical guest who is a harbinger of an impending death. A brief discussion on the term "Black Irish" and its meaning and derivation. Ireland has three patron saints and one is a woman, St. Brigit. So strictly speaking she is a matron saint and a motherly concern for so many aspects of life reveals that she watches a lot of backs! A brief history of the life and work of Patrick, Ireland´s Patron Saint. This content was written by . If you wish to use this content in any manner, you need written permission. Contact Bee Smith for details. Welcome to the Irish Culture forum. Talking about Ireland, here´s the place. 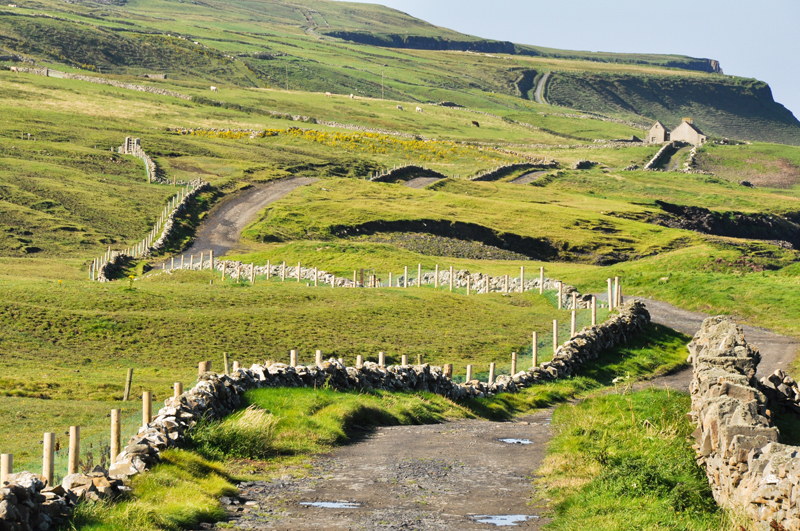 Subscribe for free weekly updates from this Irish Culture site.